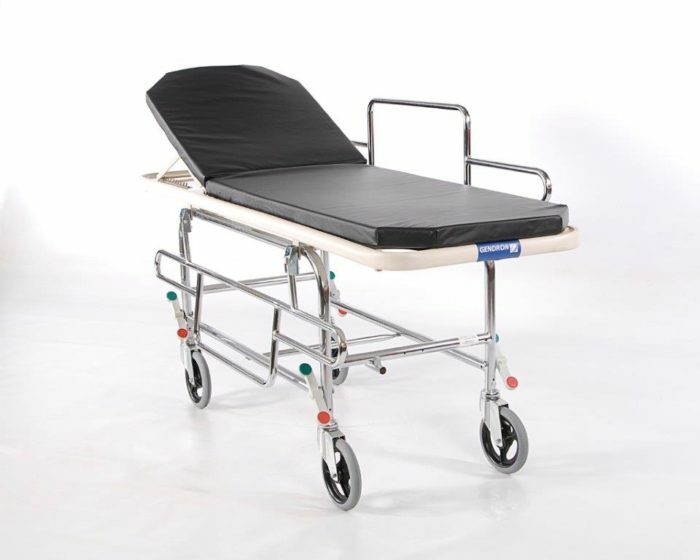 General duty transport stretcher with patient weight capacity of 350 pounds. Chrome plated frame and painted litter top. Full perimeter non-marring bumper. Two locking all surface casters, swing down side rails, manual fowler back rest and 2” litter pad are standard.